Who has been recently appointed as the new Managing Director of State Bank of India (SBI) on 2nd July 2018 ? United Nations Day is celebrated to aware the people of the world the aims and achievements of the United Nations Organization. It is celebrated on ? Which of the following efforts fall under Financial Inclusion Plan (FIP) of RBI / Government ? Which is a full service credit rating agency exclusively set up for Micro, Small and Medium enterprises ? Which of the following is an independent banking industry watchdog that protects consumers of banking services in the country ? The Union Government will set-up how much amount of Solar Development Fund (SDF) for financing solar projects ? Which of the following countries has officially joined North Atlantic Treaty Organization (NATO) and becomes the 29th member country of NATO ? Which of the following is not a component of India's securities market ? There are several direct and indirect instruments that are used for implementing monetary policy. Which among the following is not them ? The Central Institute of Road Transport (CIRT) is located in which city ? The National Bank for Agriculture and Rural Development (NABARD) was set up in ? Who is the present Managing Director and Chief Executive Officer of National Housing Bank ? Which of the following policies is known as Annual Policy statement ? Who was re-appointed as the MD & CEO of YES Bank for 3 years on 12th June 2018 ? Which of the following terms is used in the field of Finance and Banking ? What is the apex organization of Industrial Finance in India ? Vijaya Bank is going to develop as many as 100 digital villages in various states of the country. The bank is headquartered at ? 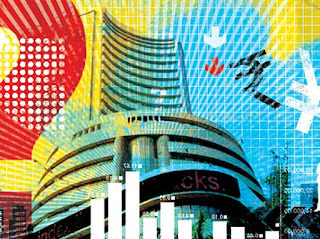 The most popular Equity Index of Bombay Stock Exchange, which is also India's most widely tracked Stock Market Index is ?